Begin your career at University Hospital Southampton NHS Foundation Trust, one of the leading centres of clinical excellence in the south of England. Apply for our two year guided fellowship programme, designed to give you the bespoke support you need to become a skilled candidate, ready for entry into UK specialty training programmes. 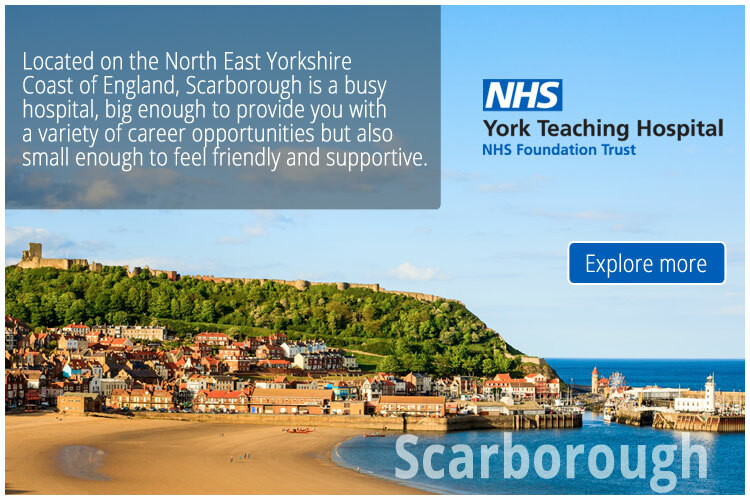 We’ve created our fellowship programme specifically to hone your clinical skills in a supportive environment and help further acclimatise you to the NHS ways of working. Our programme, tailored to your level of experience, aims to support you in becoming the best doctor you can. Once completed, you’ll be equipped with the tools you need to take the next crucial steps of your career. The programme is comprised of either a training programme at foundation level, designed for you to reach your competencies and move on to core training, or direct entry onto core level. You can do this by either having 4 x 6 month rotations within different specialties or if you need a year or two developing your knowledge within a particular specialty we can accommodate your requirements. The level at which you enter the programme will be assessed and discussed with you during the recruitment process. During the programme, you’ll be able to develop your professional skills such as audit, quality improvement, teaching, and leadership. You’ll also have opportunities to undertake certificates and diplomas in clinical research, with the option to complete fellowships based in the region. If you require Tier 2 sponsorship, please ensure you meet the Home Office application criteria before submitting an application. Progression is subject to completion of competencies and satisfactory outcome at annual assessment. Please be advised that this vacancy may close earlier than stated if large numbers of applications are received. Due to the volume of applications we receive, we are unable to acknowledge receipt of your application. If you have not heard from us within four weeks of the closing date of this post, please presume that you have not been selected for interview. Application can be made for parking on site at UHS or through one of the park and ride schemes. This will be based on specific criteria to determine eligibility for site parking as this can be very limited. UHS encourages staff to utilise other green methods of getting to work such as cycling or walking where possible. UHS is well connected through bus services to the city centre and other areas. Please note that we will not accept any applications or queries via agencies, under any circumstances. Our staff are positive about working at UHS and rate us above average compared to other NHS Trusts in the Staff Attitude Survey. We are rated strongly on a number of areas including teamwork, communication and engagement. Equality remains at the centre of all Trust policy making, service delivery and employment practice with all employees being given equality of opportunity to develop, apply for promotion and have working arrangements that enable them to achieve a manageable work-life balance. The Trust actively promotes a work environment free from harassment and discrimination and provides training for managers and staff to ensure this happens. The Trust also closely monitors recruitment activity, training and development and employment practices to ensure equality of practice with regard to race, colour, ethnic or national origin, religion or belief, gender, sexual orientation, disability, marital status and age. As a service provider the Trust ensures equality of access and delivery of our services through the provision of interpreter services, facilities for the disabled and sensitivity for patients ethnic and religious differences and needs. The Trust is under a duty to protect the public funds it administers, and to this end may use the information you have provided on this form for the prevention and detection of fraud. It may also share this information with other bodies responsible for auditing or administering public funds for these purposes.